How Long do FFLs Need to Keep Their Records? As an attorney specializing in ATF compliance for FFLs, this is a fairly common question I receive. Unfortunately, the simplest answer I have is a common answer from attorneys: “It depends.” The duration for each ATF record that you need to keep as a Federal Firearms Licensee (FFL) depends on which type of FFL License you have and the specific ATF-required record. 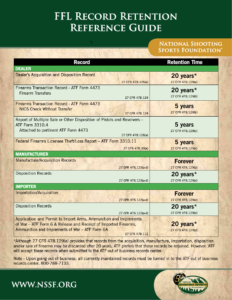 When I was the federal government relations manager for the firearm’s industry trade association, the National Shooting Sports Foundation (NSSF), I created a guide for easy reference for FFLs. We’re going to cover the basics of the ATF’s record-retention requirements for FFLs here, but I’ve included the NSSF guide I created to make it easier for you. Just click on the image of the guide to view and/or download it for future reference. 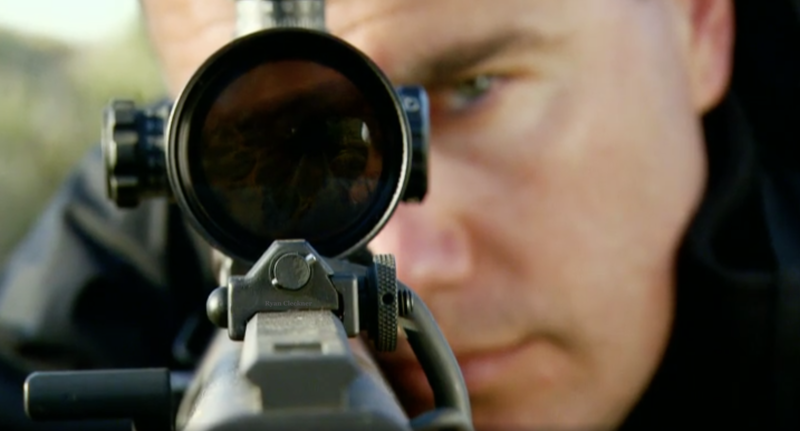 This is just one example of the great resources the NSSF provides for the industry. If you’re an FFL, you should seriously consider joining the NSSF. They protect our industry like the NRA protects gun owners. 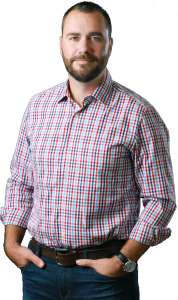 The two most important records for standard dealer FFLs (FFL License Types 1 and 2) are their Acquisition and Disposition (A&D) Records and their Form 4473 transaction records. As we cover in our online course for getting your own FFL, the ATF is primarily concerned with their ability to trace a gun – these are the main two records that help them! If you use your manufacturer’s FFL (FFL License Types 7 and 10) to conduct transfers to customers (non-FFLs) via 4473s, then you need to reference the information for dealer FFLs above. * Note: For all of the records above that need to be kept for 20 years, they can all be legally discarded/destroyed after 20 years has passed. 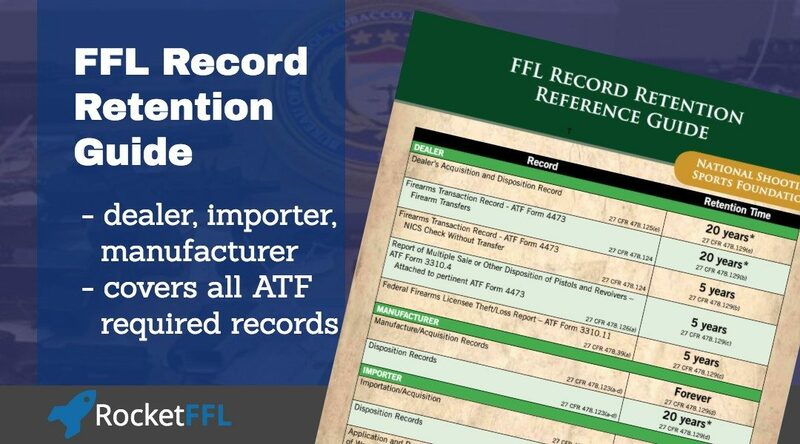 However, the ATF prefers that you maintain these records for the life of your FFL. If you’d like to get rid of them after 20 years, you can turn them in to the ATF at the same location where you must send your records after you decide to stop being an FFL, the ATF’s Out of Business Records Center. If you’d like to get your FFL, make sure and check out our online course for getting your own FFL. 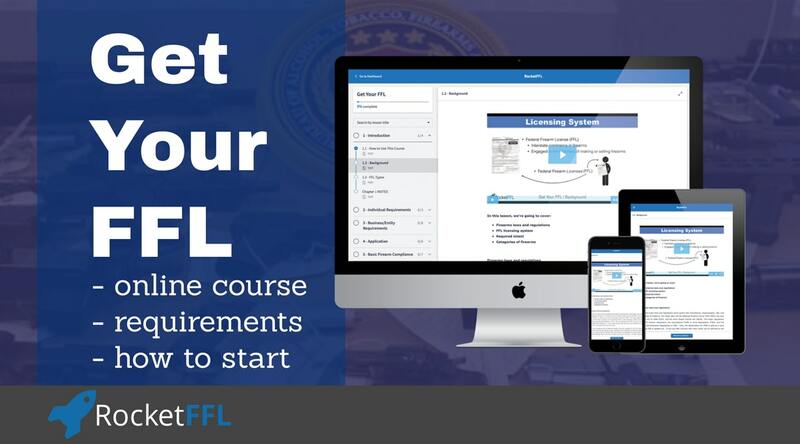 If you already have your FFL and you’d like to learn more about record retention, we cover all of the requirements in more detail in our ATF Compliance course. I look forward to having you in our industry!